Luckily for them both, the friendly community at the caf provide listening ears, sage advice, shoulders to cry on, and some truly excellent carrot cake. And when Martha's enigmatic, absent father suddenly turns up, confusing not only Martha but Zoe too, the love and support of their new-found friends is the best present they could ask for. 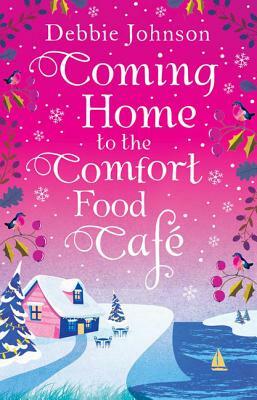 Have Zoe and Martha truly found their home at the Comfort Food Caf ? Debbie Johnson is a best-selling author who lives and works in Liverpool, where she divides her time between writing, caring for a small tribe of children and animals, and not doing the housework.Her books include The Birthday That Changed Everything, Pippa's Cornish Dream, and Summer at the Comfort Food Cafe, all published by HarperCollins.Follow her on twitter @debbiemjohnson, or at www.facebook.com/debbiejohnsonauthor - but be warned, she mainly talks about dogs.